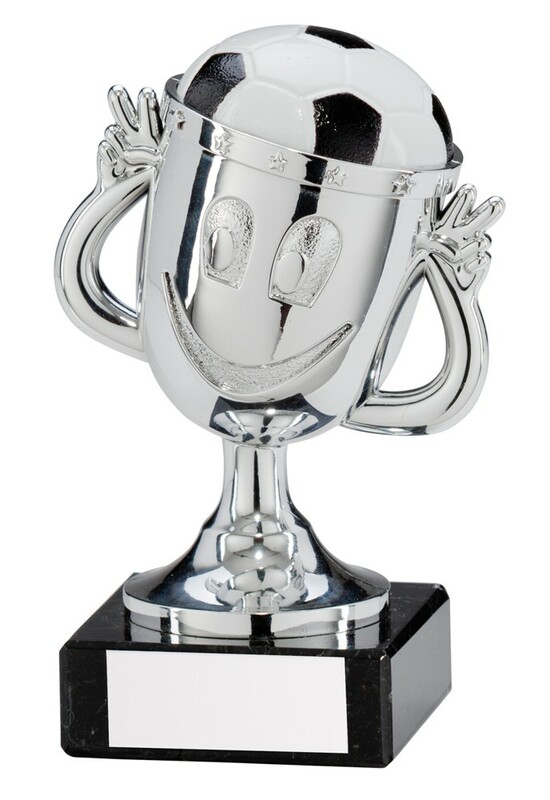 Big Fun Plastic Silver Football Cup Awards. 120mm high, black & white football on a silver cup mounted onto a black marble base. A great fun football trophy.